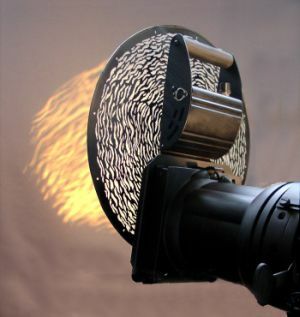 Rosco's superb new gobo animation device offers kinetic lighting effects with simplicity of use and low cost. Infinity fits the gel frame of vitually all the spotlights in use today. It is entirely self-contained and does not require additional controllers of power supplies. Supplied with an adapter plate and one Animation Disk (42cm in diameter). 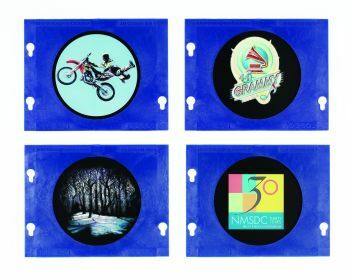 Three pre-defined gobo packs based upon best selling images. Choose from Breakups, The World Around Us or Graphics. These kits are excellent value for money and bring a little extra piece of mind. The ImagePro Gobo Slide Projector fits as an accessory into the iris slot of a typical ETC Source Four, Altman Shakespeare, Strand SL or Selecon Pacific light fixture. 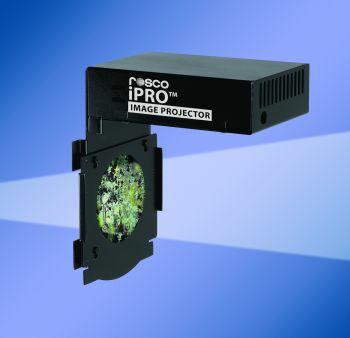 Fitted with an iPro Slide, the ImagePro delivers bright, visible full-colour images that will last between 15 and 50 hours. Virtually any design you can create on your computer can be made into a Custom iPro Slide in just one day. Using Adobe Photoshop or similar software, prepare your design and send it to us. More than 2000 designs to choose from! 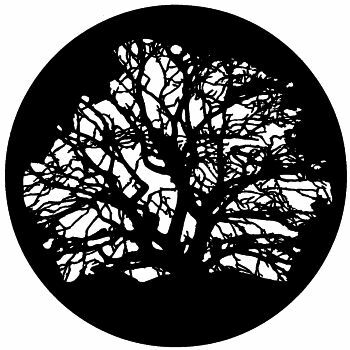 These premiere steel and glass gobo design give the designer unsurpassed flexibility and creativity when selecting patterns to suggest scenery, create atmosphere and enhance visual impact of the lighting design. 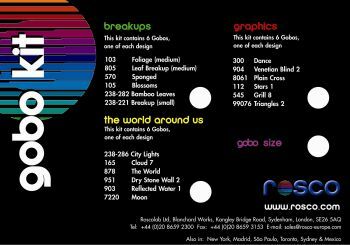 Ask for gobo brochure to see the range.